"@sentedcruz of Texas prevailed in his home state's Republican primary today, turning back a challenge from @realdonaldtrump to avert what would have been a disastrous defeat. @sentedcruz also won in neighboring Oklahoma. 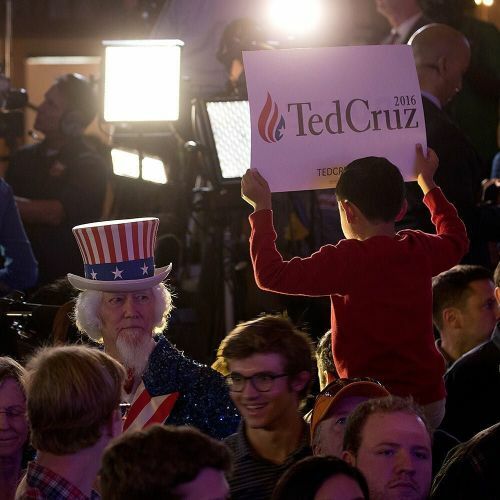 @nytimes staff photographer @crowleygraph took this photo at an election night watch party in Stafford, Texas, where a rowdy barroom crowd toasted the victory. As #SuperTuesday results come in, visit the link in our profile for live updates. #regram" By nytimes on Instagram.